1966 GIBSON SG CUSTOM – EXTREMELY RARE CUSTOM COLOR/BLACK! 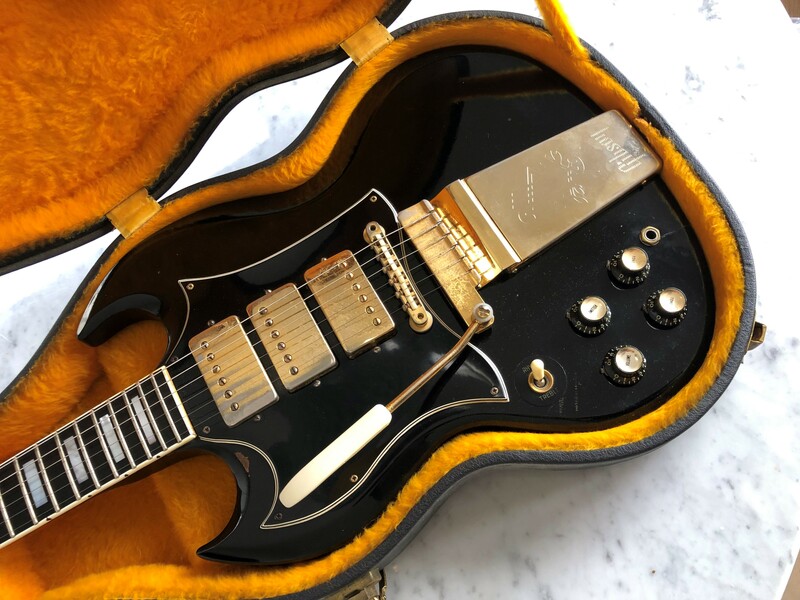 THIS IS A FACTORY ORIGINAL 1966 GIBSON LEFT HANDED SG CUSTOM WITH AN EXTREMELY RARE CUSTOM COLOR BLACK FINISH, WHICH HAS BEEN VERIFIED BY GIBSON FACTORY SHIPPING LEDGER RECORDS (SEE PHOTO OF E-MAIL CONFIRMATION). 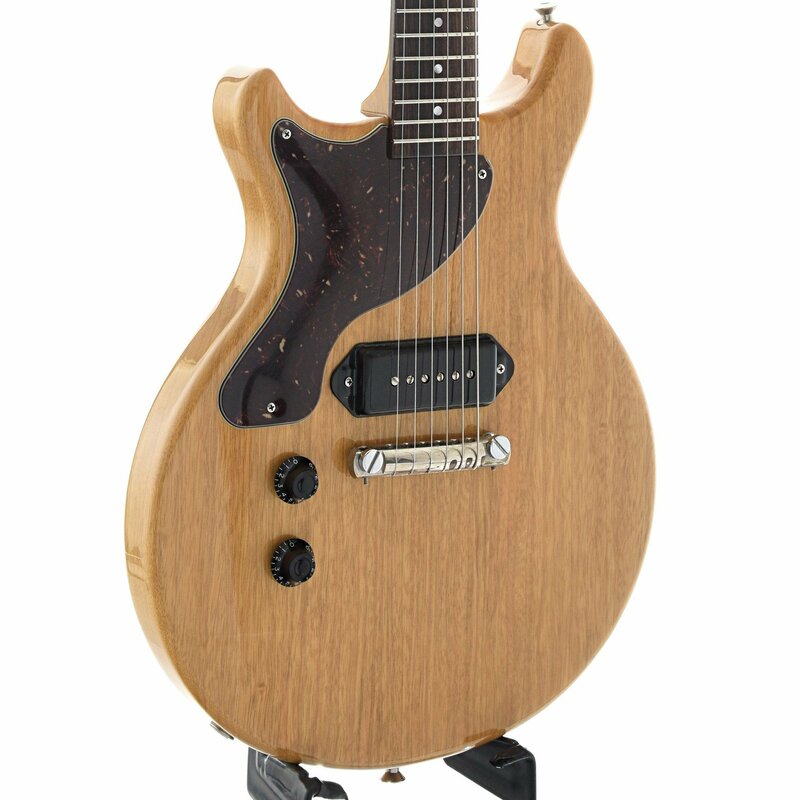 THE GUITAR HAS ALSO BEEN VERIFIED IN-HAND BY RUDY PENSA IN NEW YORK CITY ON 10/14/14 (SEE PHOTO). 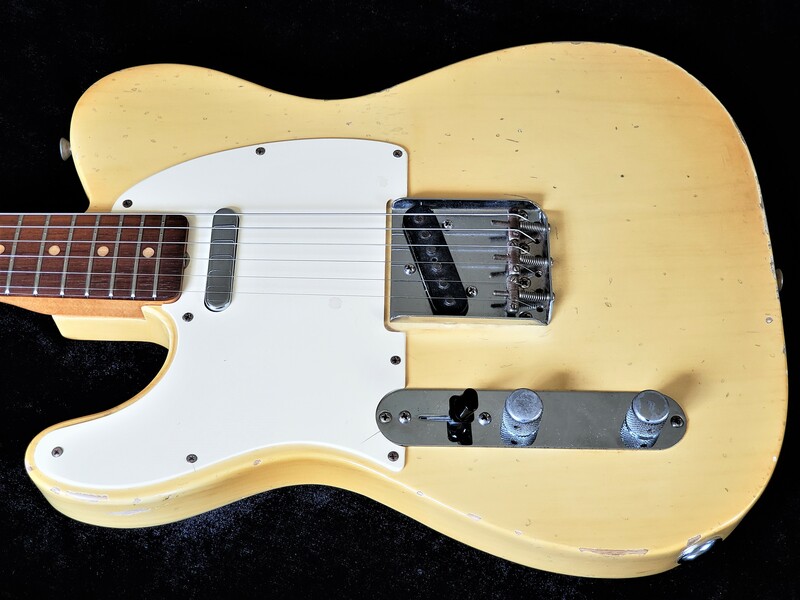 RUDY PENSA IS ONE OF THE LONG-TIME AND MOST RESPECTED VINTAGE GUITAR AUTHORITIES, AND WAS OWNER OF ONE OF THE ORIGINAL GUITAR SHOPS (RUDY’S MUSIC) ALONG THE LEGENDARY 48TH ST MUSIC ROW IN NEW YORK CITY. 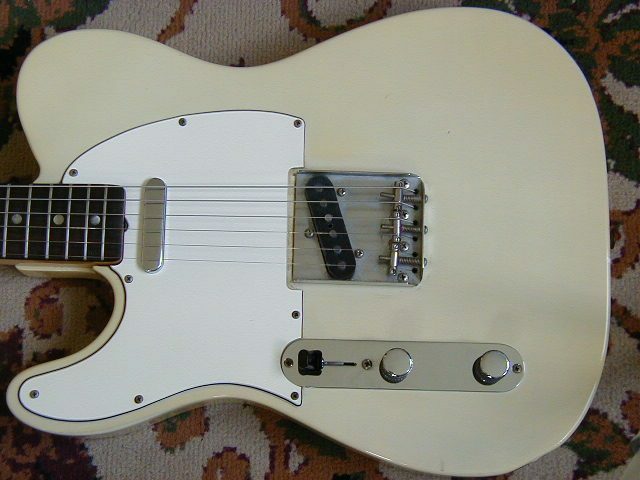 THE ONLY NON-ORIGINAL PARTS ARE THE FRETS, WHICH ARE JUMBO FRET REPLACEMENTS, AND THE NUT IS A REPLACEMENT BONE NUT. 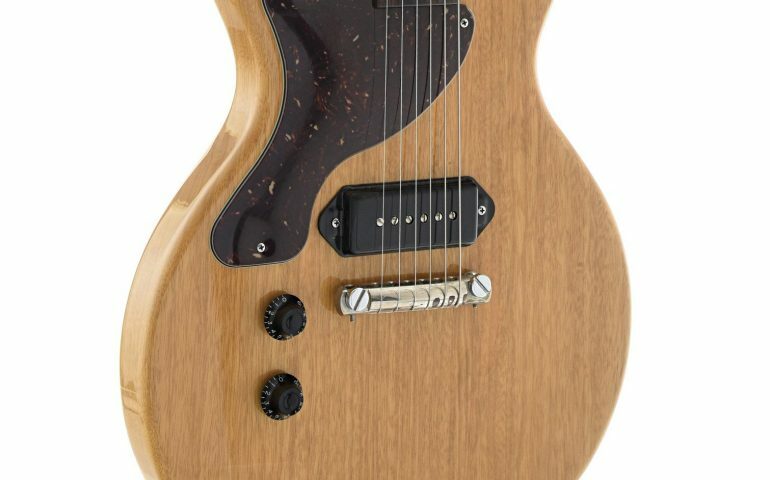 IN ADDITION, THERE ARE 2 EXTRA SCREW HOLES ON THE BACK OF THE HEADSTOCK, ONLY ONE OF WHICH IS VISIBLE. IN SUMMARY, THIS 1966 LEFT HANDED BLACK SG CUSTOM IS AMONG THE RAREST LEFT HANDED VINTAGE ELECTRIC GUITARS. 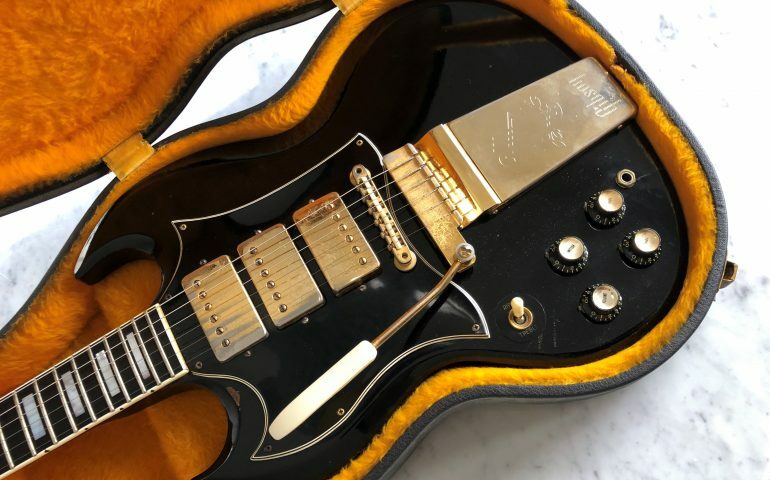 I HAVE NEVER SEEN ANOTHER ORIGINAL BLACK FINISH SG FROM THE 1960s. 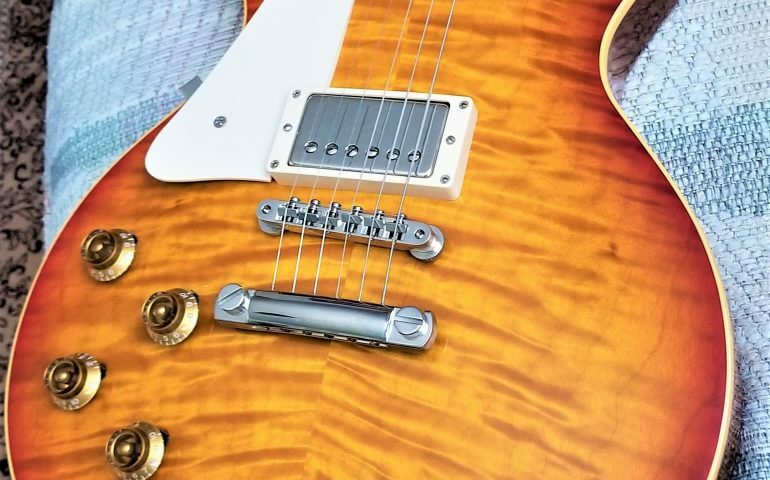 AMONG COLLECTORS, GUITARS WITH CUSTOM COLOR FINISHES ARE THE MOST PRIZED VINTAGE GUITARS. 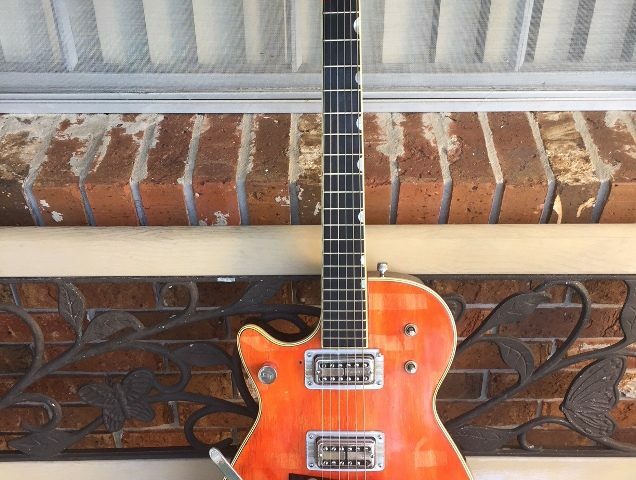 THIS IS AN EXTREMELY RARE AND STUNNING EXAMPLE! 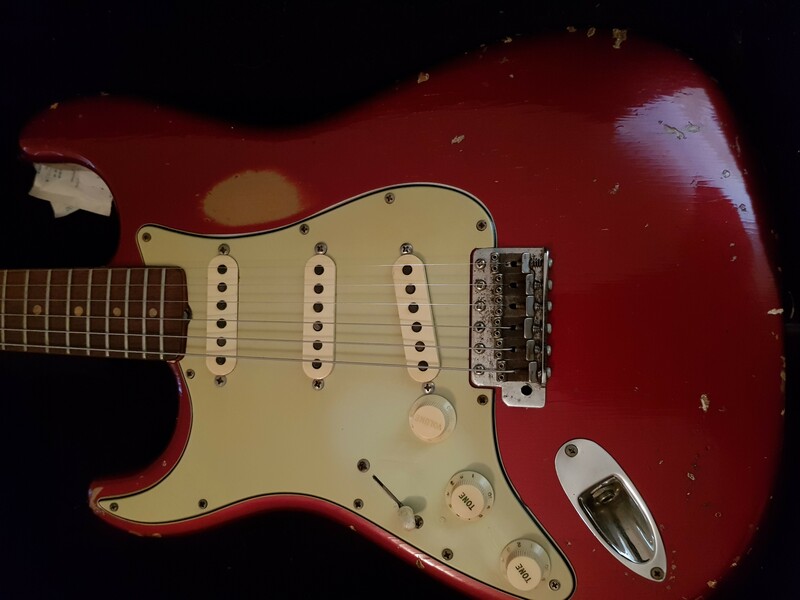 1964 Fender Candy Apple Red Strat, Pre-CBS Custom Color Strat! 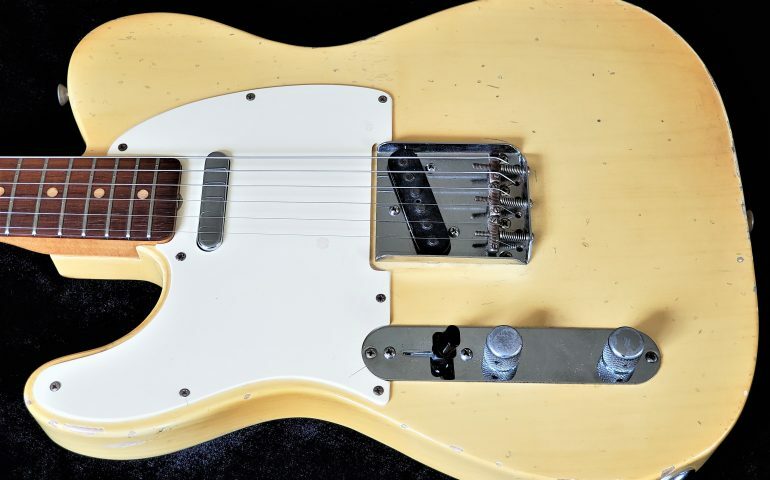 The guitar has a fair amount of honest playing wear accumulated over the past 53 years, with the Gold undercoat showing in several areas. 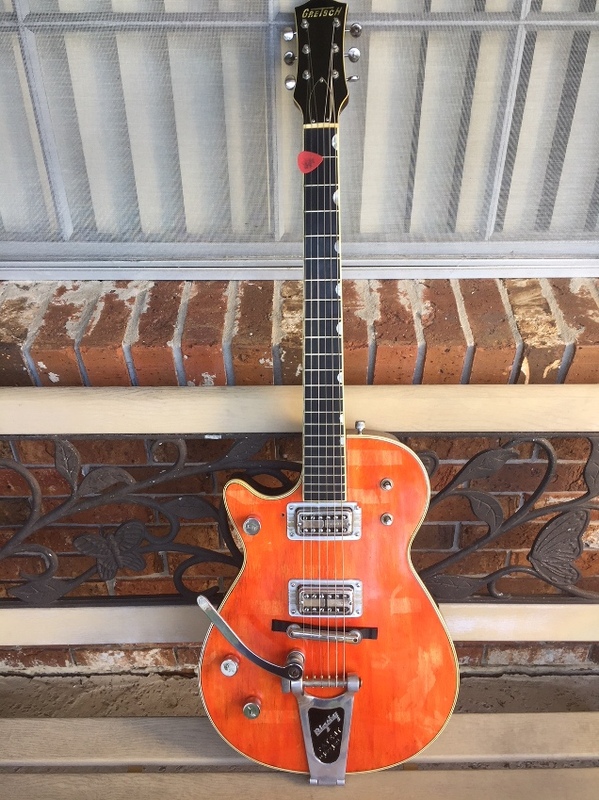 The guitar is all original according to the current owner, with the exception of a 5-way switch, one Tone pot, and newer hardshell case. 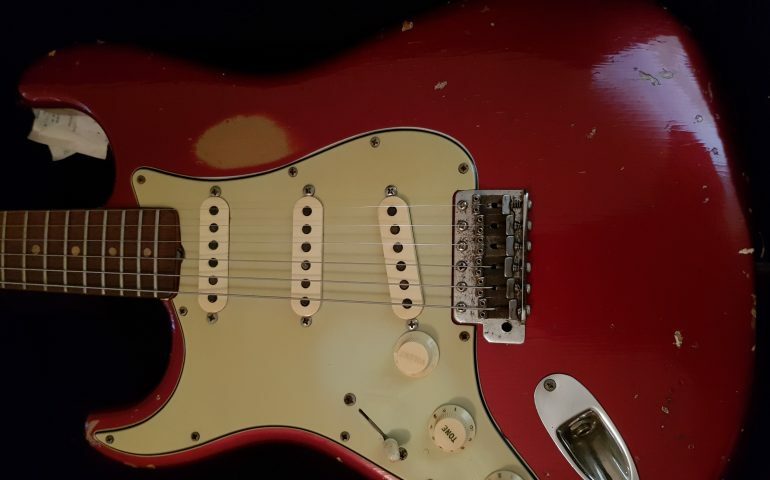 True pre-CBS with the spaghetti logo, and Candy Apple Red – Leo’s favorite custom color! 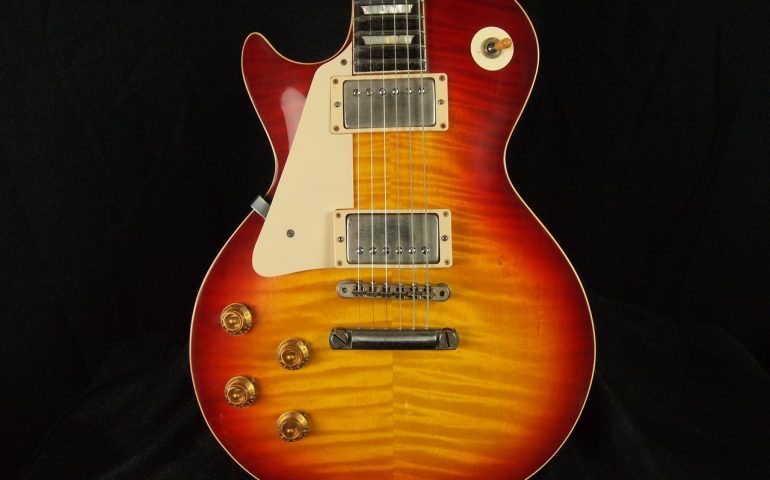 1959 Gibson Les Paul Standard Conversion, One of One! 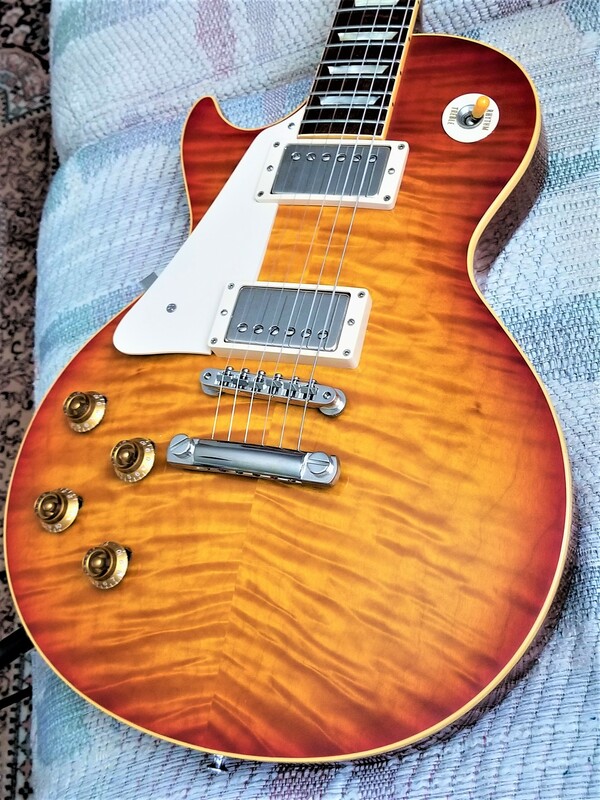 This may be the only Left Handed 1959 Gibson Les Paul Standard Conversion in the world. 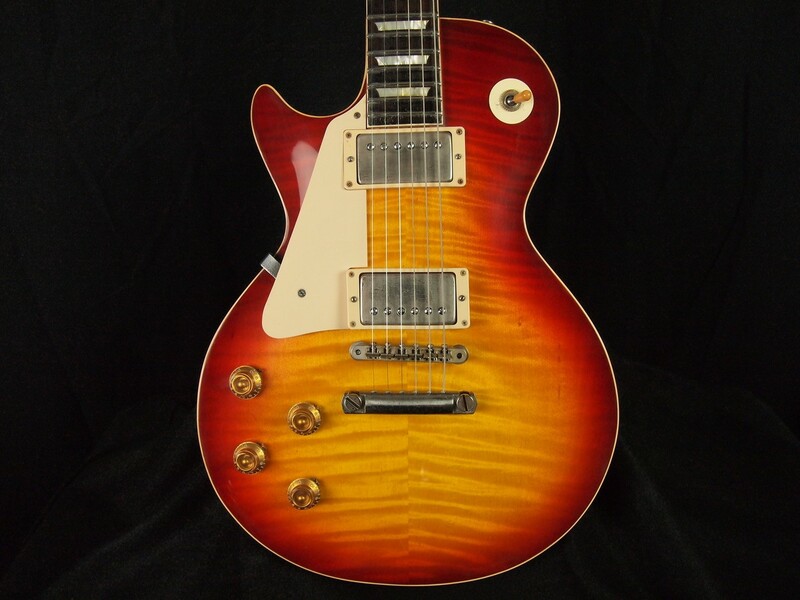 The donor guitar was a refin 1957 Left Handed Les Paul Jr with some issues. Dan Shinn at Lay’s Guitar Shop(they have been doing outstanding work since 1962!) 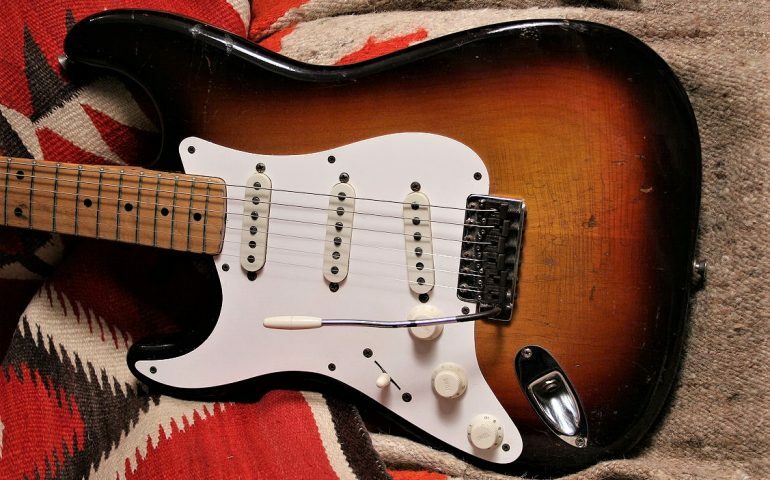 did a fantastic job of transforming that guitar into the closest thing to a real Left Handed Burst for a fraction of the price! 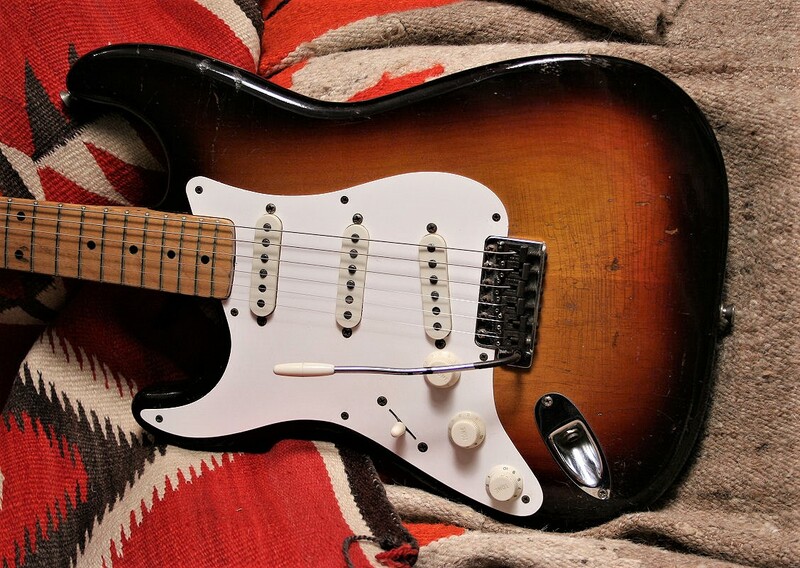 There are only 4 documented Lefty Bursts,(McCartney, McEnroe, Stroup, and Florida Bursts). None of these are for sale and knowing the owners, will probably never become available for sale.